As the holy month of Ramadan nears its end, its common that Muslims around the globe would start getting ready for Eid-ul-Fitr. 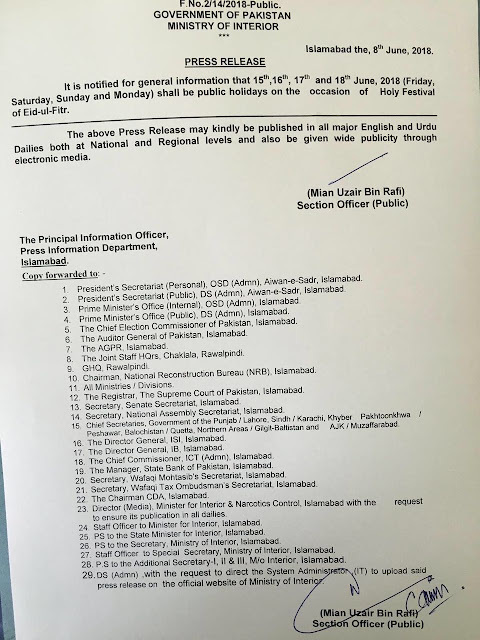 In a similar vein, The Government of Pakistan has declared official Eid holidays. As indicated by an official notice, fifteenth(15th), sixteenth(16th), seventeenth(17th) and eighteenth(18th) June 2018 will be off days on the basis of Eid-ul-Fitr. 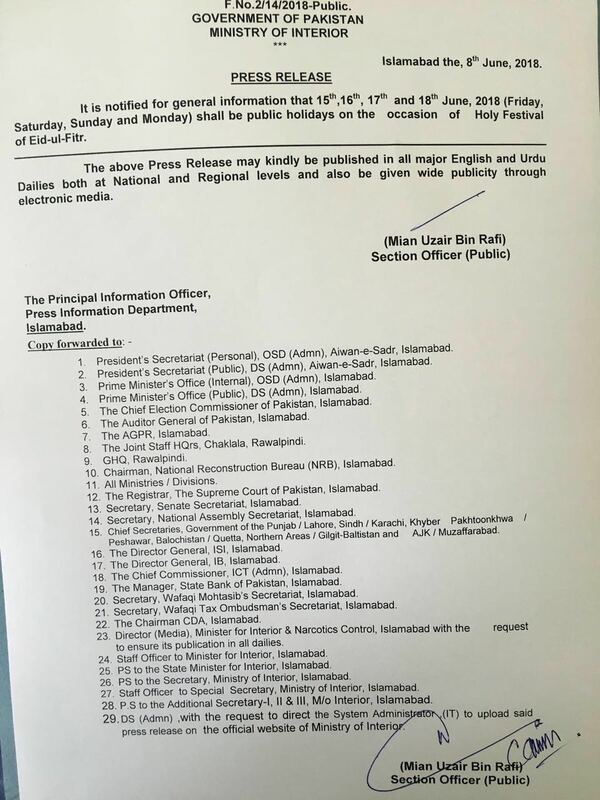 This implies Friday, Saturday, Sunday and Monday (4 days) will be off for everybody in Pakistan. The news comes after Pakistan Met. Dept declared that the Shawwal moon will be unmistakable on June fifteenth (Friday), and will be hard to see on June fourteenth (Thursday). This is just a forecast, as the climate is relied upon to be horrible for survey the moon specifically on Thursday. 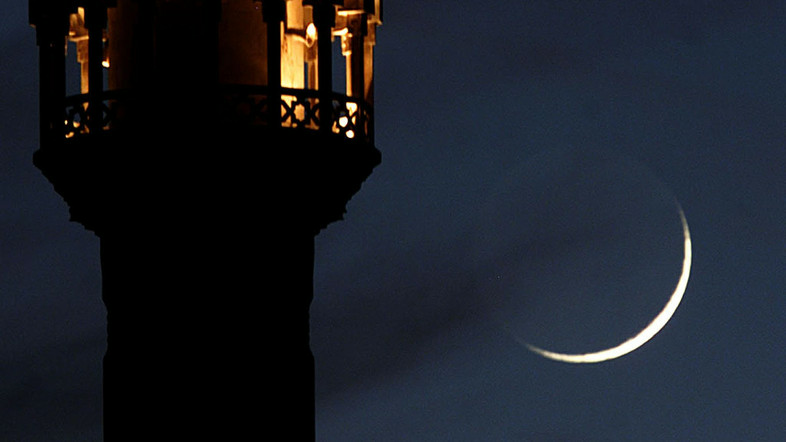 Assuming genuine, the moon would be sight on June fifteenth (Friday) with Eid formally falling June sixteenth (Saturday). The Holy month of Ramzan had begun on Thursday 17 May, and as the astronomical maps suggest, it will last for 30 days, marking Eid ul Fitr on Saturday, 16th June.